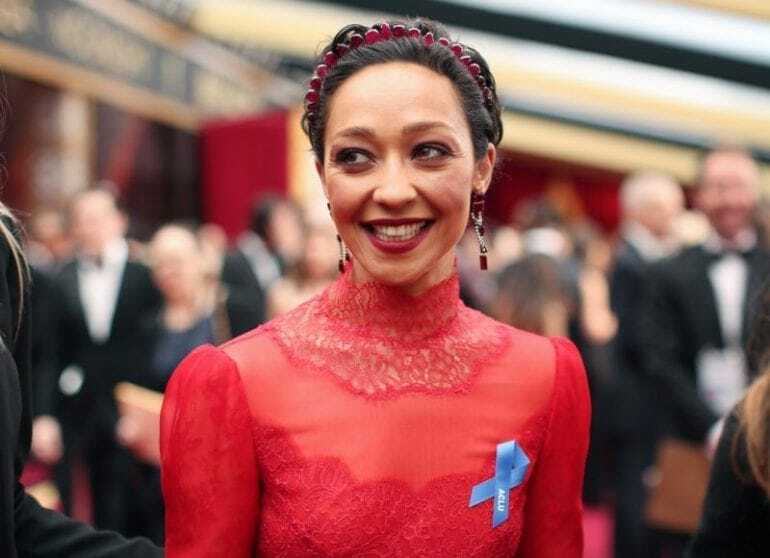 Among the beautifully dressed stars of the Academy Awards, who proudly walked the red carpet with their significant others or family members, was a small yet powerful blue ribbon that was a garnish on the stunning fabrics worn by the men and women. The light blue ribbon had many viewers at home, as well as reporters at the event, asking the question of what the ribbon stood for. Before going into the important meaning behind the ribbons, just a quick line or two on celebrities’ use of award show red carpets as a platform for change. For decades now, the rich and famous have graced the red carpets of major award shows. These celebrities know, especially now, that what they wear is seen and what they say is heard by millions of people worldwide. Whatever message they want to get across, using the red carpet as a means of communication has proven to be as effective as holding a press conference, with the added bonus of reaching an even younger generation of millennials who may not always hear the message being transmitted. So, the blue ribbons in question. The light blue ribbons were worn in solidarity and support of the ACLU – The American Civil Liberties Union. ACLU is an American organization that defends civil rights by fighting the legal battles needed to maintain them or break through the barriers in order to receive them. The ribbons were a part of new initiative by the organization, titled ‘Stand With ACLU’. The ACLU used their Twitter account to advise their followers of the celebrities who were wearing the ribbons, turning the spotlight to the cause even further. The kind of civil liberties we are talking about are ones that many of us take for granted, such as the right to vote, and the freedom to express ourselves and stand up in the face of immorality and dishonorable acts. Over the past couple of months, with the setting in of the new administration, and the resurfacing of old threats with the introduction of new ones, the American public has taken a stand; this included the high-profile American citizens who feel like they could not sit quietly by while prejudice and racism was being awakened by rhetoric of hate and fear along with the implementation of limiting acts against a select group of people. Famous faces such as actresses Michelle Williams and Busy Phillips walked the carpet with black gowns, making the ribbons stand out even more. 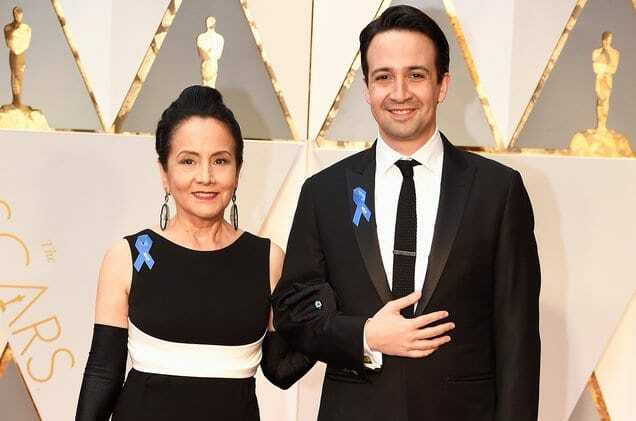 Playwright, composer and actor, Lin-Manuel Miranda, accompanied by his mother, donned the ribbon with pride. 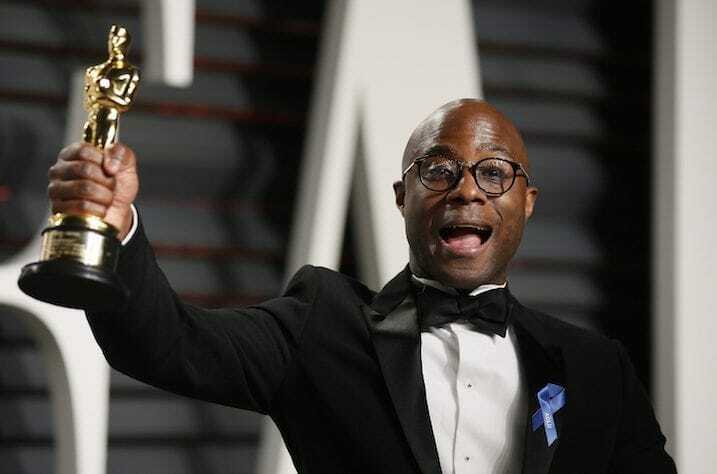 While actress Ruth Negga, Academy Award winners that night, La La Land Best Actress Emma Stone, and Moonlight director, Barry Jenkins, displayed them as well. The main thing to remember here is that these celebrities need not say a word on the red carpet to get their support across, the very act of wearing the ribbon says it all; Oscar night sent a loud message as to these artist’s opinion on the matter of civil liberties.